Built between 1482 and 1533, this group of buildings was originally used for trading in silk (hence its name, the Silk Exchange) and it has always been a center for commerce. It is a masterpiece of late Gothic architecture. The grandiose Sala de Contratación (Contract or Trading Hall), in particular, illustrates the power and wealth of a major Mediterranean mercantile city in the 15th and 16th centuries. The shocking thing about La Lonja isn’t that it is a World Heritage Site, it is that the other things around it in central Valencia are not. The Lonja itself is a very simple building today with an empty interior. It is one of many buildings in the old city of Valencia which is part of its rich merchant history. Pay close attention to the gargoyles on the exterior of the building and some of the internal stone carvings around the doors. You will find some shocking surprises. La Lonja de la Seda de Valencia is a cultural UNESCO World Heritage Site in Spain. It was designated in 1996 and is a monument recognized into the list of Spanish Property of Cultural Interest. 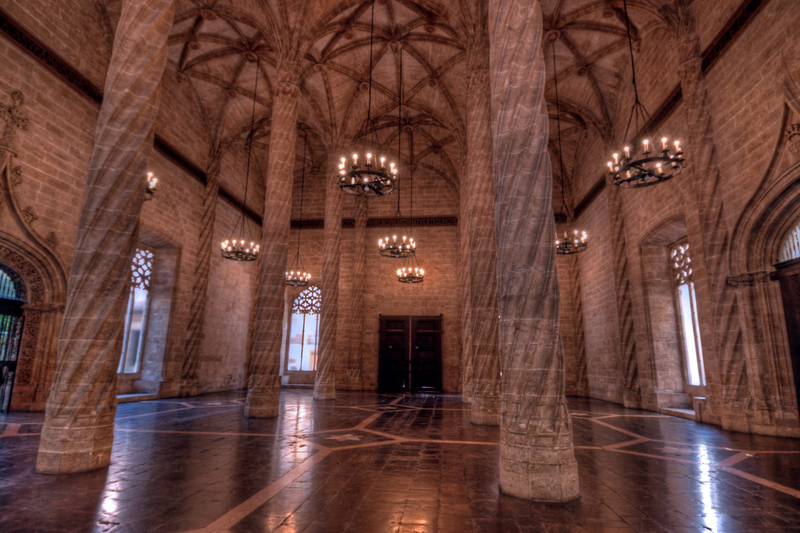 Known as Silk Exchange globally, this building in Valencia features a Valencian Gothic-style. It is also one of the top tourist attractions in the city of Valencia, Spain. The structure was built from 1482 to 1548 and is divided into three parts: the main hall, the side wing, and the central tower. The Silk Market, the other term for La Lonja de la Seda de Valencia, is an important monument in the city since it is a showcase of amazing civil Gothic architecture. This building is a project of renowned architect Pere Compte. The building is reminiscent of old Medieval castles that have a rigid appearance and are made of stone walls, just like a fortress. Each of the main parts of the room are distinguished by their purpose, not just for their structural differences. The 15th century, the time when this structure was built on, also marks the golden age of Valencia. This is the time when the city has reached its economic and cultural height. The visitors who have been to this building are spell-bound by the palm-tree-shaped columns that are in the main hall, along with its enigmatic carvings. La Lonja de la Seda de Valencia also overlooks the historic Plaza del Mercado, which is one of the most important parts of this historic region. In addition to the architectural masterpiece that is the La Lonja de la Seda de Valencia, it also served an important historical and cultural value to the city of Valencia. During the 15th century, this building served as the site of various mercantile transactions. These merchant and trade activities were deemed as important to the flourishing of the city’s economic status during the medieval period. The structure was also built on the commercial and urban center of Valencia, which makes the building of the Silk Exchange necessary. The main building of La Lonja de la Seda de Valencia is enclosed within a courtyard and garden. Hence, the entire complex is located within a massive rectangle layout. The majestic Contract Hall is one of the most important parts of this building – this is where the commercial deals were struck amongst the most important merchants of the city. Due to the trade and commercial activity that it played a role in building, La Lonja de la Seda de Valencia is a shrine of commerce for Valencia. And as such, it has also become a symbol of the city. 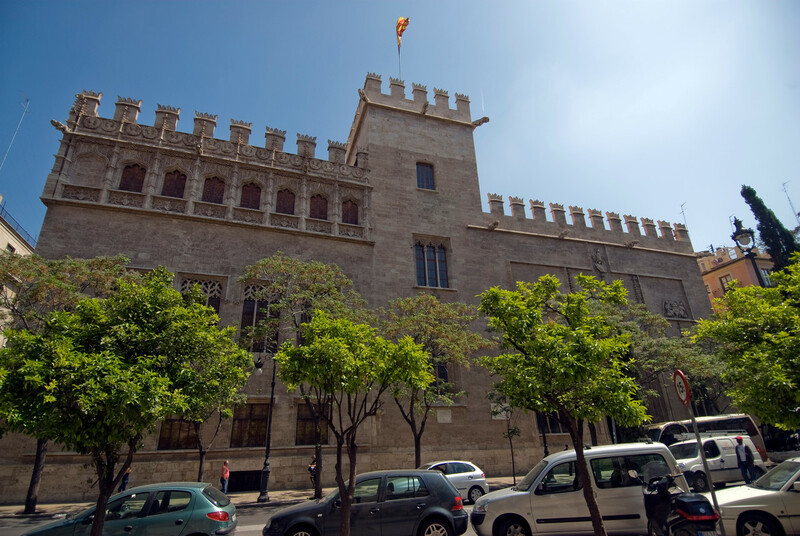 The La Lonja de la Seda de Valencia is open from Tuesdays to Saturdays from 10 AM to 2 PM and 4:30 PM to 8:30 PM. And on Sundays and public holidays, it is open from 10 AM to 3 PM. The building is closed to the public on Mondays. The average ticket price for entry to this building is 2 Euros, and 1 Euro for children and pensioners. However, entry is free on weekends and public holidays. To get to La Lonja de la Seda de Valencia, you need to take any of the following bus routes: 5b, 7, 27, 28, 60, 62, and 81. View the complete list of UNESCO World Heritage Sites in Spain. That is really fantastic, I hope to visit it in future. It is real, Spain has some of the best Islamic architecture ever to be created. This is just one of the many wonders of Spain. Alhambra being the most significant one. Is that real? It looks like a computer game interior! Where’s Lara Croft?